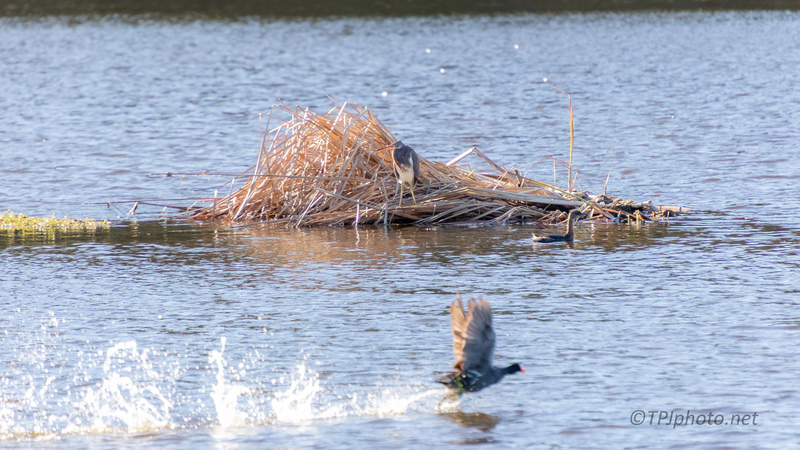 out of nowhere comes a screaming, walking on water, Gallinule. They run around wailing all the time, here he just did the photo bomb perfect. What’s the other bird in the water that’s floating along quietly? That’s a pied-billed Grebe. Small diving, duck like, bird. Really shy and super fast. These are the small birds I call the ‘warning system’. They will hide when they see someone, than suddenly scramble and wail real loud.